Viggo Mortensen has a posse, too. After a festival-circuit tour that included a world premiere at Sundance and a Best Director prize in the Un Certain Regard section of Cannes, Matt Ross’ “Captain Fantastic” is set to hit theaters next month. 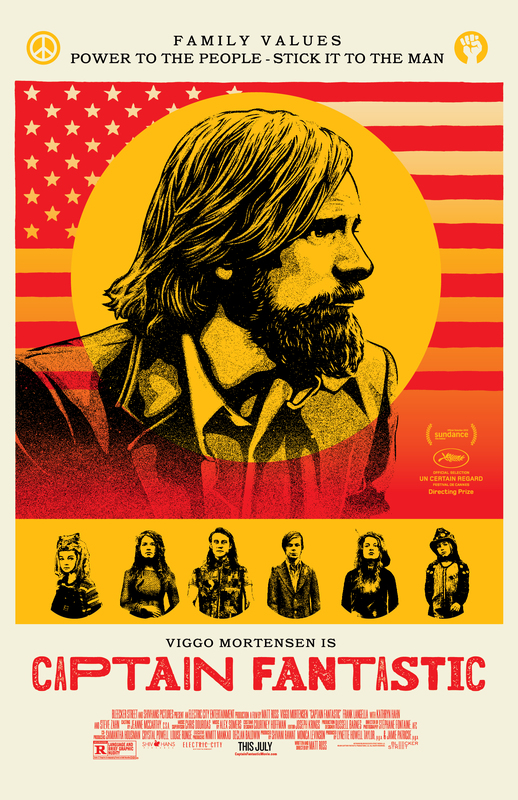 Apropos of its subject matter — Viggo Mortensen plays a father of six living in the wilds of the Pacific Northwest — the film has just released a striking new poster for Father’s Day designed by Shepard Fairey in collaboration with Studio Number One. Obey the famous street artist’s wishes and check out the new art above. Best known for his acting work in “Silicon Valley,” “American Horror Story” and “American Psycho,” Ross made his directorial debut with “28 Hotel Rooms” in 2012. “Captain Fantastic,” which Bleecker Street is releasing on July 8, is his second feature as writer/director.